Dr Oz: Green Coffee Bean Extract Reviews - Fat Burner That Works? Dr Oz: Green Coffee Bean Extract Reviews – Fat Burner That Works? Dr Oz December 27 2012 took a good, hard look at the Green Coffee Bean Extract reviews that have been sweeping the nation in 2012. Is this the next big thing, or is more hype without the results? Dr Oz decided to put it to the test himself in a really interesting way. Plus, find out what Dr Oz is doing to combat scam artists using his name, and how you can help. Dr Oz December 27 2012 shared Green Coffee Bean Extract reviews of the hottest new fat burner on the market. What should you know before you buy this? Green Coffee Bean Extract is the hot new fat burner that everyone is talking about. Does it work, or is this latest diet fad another bust? 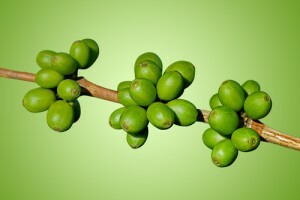 Doctor Oz put it to the test in his own controlled experiment and shared Green Coffee Bean Extract reviews on the show. Dr Oz showed off what happened when he put real Dr Oz viewers to the test on the hottest new weight loss product people can’t stop talking about. What really happened when women in the audience tried Green Coffee Bean Extract for themselves? Find out the results that were verified by Dr Oz’s medical team. Not all Green Coffee Extract products on the market are what they claim to be, and not all of them are going to be effective, even when used as intended. Make sure you are paying attention when you go to the store so that you don’t end up throwing your money away on a junky product that won’t get you results. Dr Oz got steaming mad over the summer when he learned how prevalent the misuse of his name and image is online. Don’t believe any ads that sell you products claiming to be endorsed by Doctor Oz. He said they are all lying to you, because he does not personally put his name on anything that is for sale. What should you do if you see a business in your area advertising products using Dr Oz’s face or logo? Find out how to turn them in with the Oz Watch program. It also works online, and Dr Oz is counting on viewers to point out scams. Green Coffee Bean Extract Reviews – Fat Burner That Works?
. And I do have 2 questions for you if you tend not to mind. Is it simply me or does it look as if like a few of the remarks come across like coming from brain dead visitors?